Manufacturer of a wide range of products which include heavy duty shrink tunnel, medium duty shrink tunnel and shrink tunnel with web sealer for water bottle packing. We are backed by a team of highly trained experts and are successfully providing Heavy Duty Shrink Tunnel. All controls are mounted on a pull-down panel for easy set-up and maintenance. The offered shrink tunnel is designed and built to give you all the performance features needed for positive shrink in many kinds of Shrink Wrap requirements. Offered shrink tunnel provide the power and versatility needed to get your job done for a wide range of applications. With our consistent focus on globally hit trend, we proudly introduce a wide assortment of Medium Duty Shrink Tunnel. This shrink tunnel can manage mid to high production schedules and will speed up any shrink packaging process simply and efficiently. Offered shrink tunnel generate air turbulence around the whole object for uniform film shrinkage. 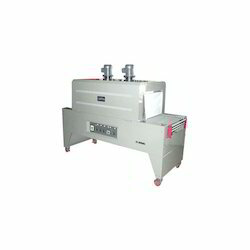 Additionally, we offer this shrink tunnel in various specifications according to the demand of customers. 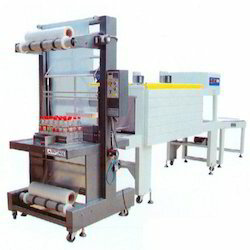 Shrink Tunnel With Web Sealer designed to wrap a wide variety of packs, either as individual packs, or as collations. Two rolls of film are sealed in the middle, creating a single curtain of film. 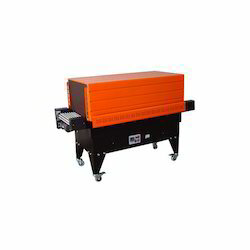 Looking for Tunnel Machine ?